I have something so special today . Well , Today’s post will be useful for many people . But personally I feel that if you are a business person , It will be a great gift for you . This post would be very first post on I Hate Cracks for business related readers . Today’s gift is from Abbyy.com team and this gift is ABBYY Business Card Reader 2.0 Light for Windows . I guess ABBYY Business Card Reader 2.0 Light for Windows is not a new name for my blog business related readers . So dear respectable readers , Now we will read that Why it is a great gift from Abbyy.com team and what it has something special ? At the end of this I will describe that how you get it for free ? 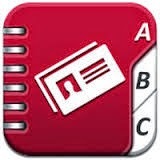 ABBYY Business Card Reader for Windows is an awesome and worthwhile software that gives you a facility to capture contact information from scans or digital photos of business cards and store it into manageable electronic data . ABBYY Business Card Reader provides smart scanning and image pre-processing functions, plus automatic configuration of all necessary settings. The application automatically picks a scanning mode and splits multiple cards scanned together as a batch . With the help of this feature , you can save lots of precious time and efforts . You can scan and digitize up to 10 business cards at once . Unfortunately Hindi and Urdu languages are not supported . ABBYY Business Card Reader smartly and intelligently identifies different types of contact data . Such information includes First , Second Name and Name, Phone number (all recognized phones: Mobile, Work, Home, Fax), E-mail, Company, Company address, Title, Web site and Notes. Once detected, all data types are automatically allocated to appropriate fields in Microsoft Outlook and other electronic contact managers . Automatically turns cards into digital contacts for higher productivity. Superior accuracy frees you from retyping. Intuitive ease gets you up and running fast. The normal price of ABBYY Business Card Reader 2.0 Light for Windows is $30 per license key . But ABBYY team is offering it for free . This is a limited time offer and I have no idea that what is the expiry date of this offer . So , don’t be late . Now here you go to grab a free key to activate full version.